MUTOOTATOR is now available on Bandcamp, including original CD issue! When I came back from four months in Europe in 1987, I began working on solo music that more closely integrated my trumpet playing with the Serge Modular Music System. 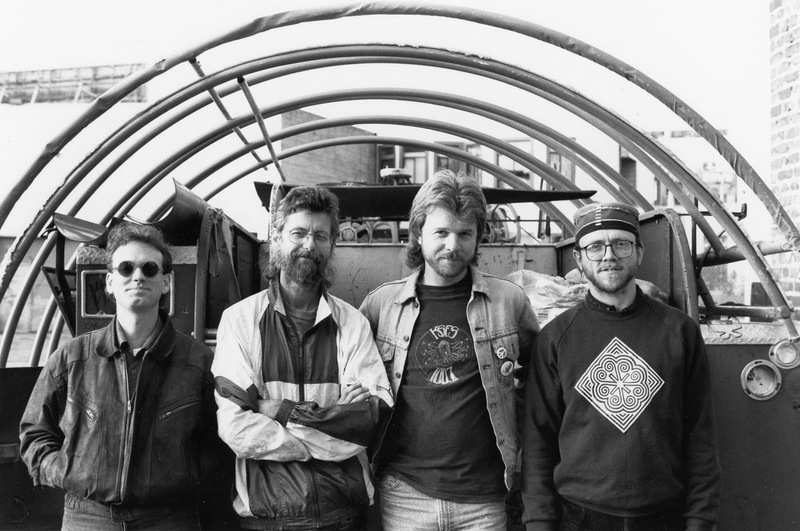 Much of that is documented in the Other Minds release Tom Djll: Serge Works. Around 1990 I got my hands on a Digitech RDS 76, after lusting for the Lexicon PCM-42 for years and never having the cash to get one. Digital delays were large, rackmount affairs in the 80s and they cost a bundle, but the newly-released Digitech came relatively cheap. It took me a few months to realize that the voltage control inputs on the back of the unit — normally connected to foot pedals — would accept signals from my Serge. So all that delay-ing and looping (and echoing, chorusing, flanging, etc) could be made much more interesting. I was never too interested in the loop/layer usage of a delay to build up a thick texture or a canonic song, all stuff a zillion guitar players were already turning into clichés. But as soon as I ran the trumpet signal through the Digitech, and connected the Serge to the Digitech, I felt I had a brand-new, ripsnorting instrumental beast. 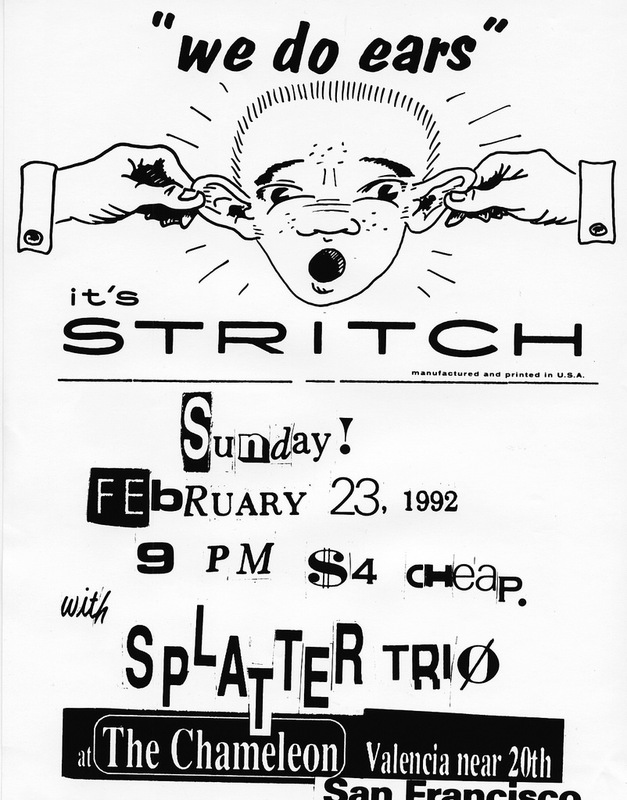 After another year or so, with Doug Carroll, Tom Nunn and Tom Scandura, I formed a band called STRITCH. Doug was using MIDI signals derived from his ‘cello playing to fire a sampler. Nunn created his own fantastically beautiful percussion instruments like THE BUG and THE CREATURE, and in those days was using effects pedals quite a lot. Tom was (still is!) the awesome punk-influenced drummer for The Molecules. Our sound was aggressive, alien, dense and multivalent. (TMK there is no sonic evidence online at this date to document STRITCH or its sound world.) We always recorded our rehearsals at Doug’s apartment above the TAP Plastics store in the Lower Mission in San Francisco (always free parking!). We gigged around the bay for maybe three years, playing at places like Hotel Utah, Radio Valencia, Olive Oyl’s, Beanbenders, the Chameleon, and the Heinz Club in Oakland. We also played a live, hour-long set on Ben Lindgren’s “Mob Ecstasy” show on KPFA radio. In the end, nothing got released from those sessions. What came to be called “Improvcore” was blossoming in the early 90s. Bands like Rubber City, Pluto, The Molecules, OvaryAction, Idiot Flesh, Splatter Trio, Claeric Red F, Scattertactics, Mudwimmin, the Clubfoot Orchestra, Vacuumtreehead, and too many others I can’t remember, all bumped shoulders onstage during this time. 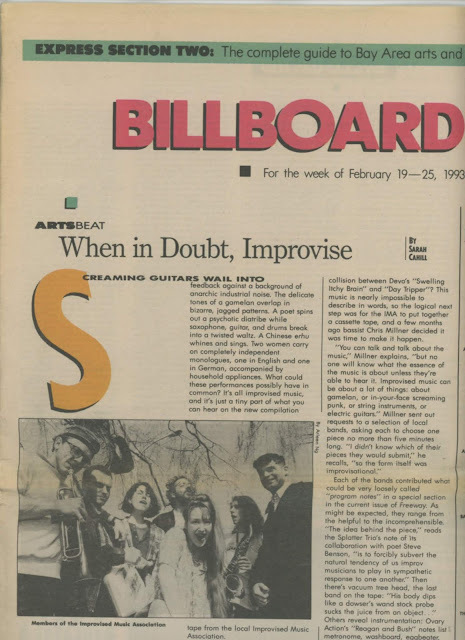 We even formed an “Improvised Music Association,” arranged for publicity (see above), and put out our own zine, FREEWAY, and a cassette compilation. During the same period I played as a guest with The Molecules on a bunch of occasions and got to know guitarist/leader Ron Anderson. He had a hardscrabble studio in one of the grimmer East Oakland neighborhoods, and offered to record me in whatever configurations I chose. Wishing to foreground free improvisation, I decided on a series of duos. During one of Jack Wright’s visits in late 1992, a bunch of us like-minded improvisers took to Tom Nunn’s garage studio (“the Nunnery”) with video camera and recording equipment, and made a day of it. From that session came all the images for the jacket and tray card insert and booklet for the eventual CD. I hired a video artist recommended by Doug, named Sigi Torinus, to create stills of myself and other players from the footage that she altered. In addition to paying her full rate, I paid George Horn at Fantasy to master it, and a CD house to print 1,000 copies. I’m surprised, now, at how easily I spent all that money on something that, I knew even then, very few people wanted. After two years the whole project was completed, and I threw a launch party/performance at the Berkeley Store Gallery. The date was October 27, 1993, just twenty-five years ago(!). I asked the irrepressible Daniel Plonsey to act as emcee and to do it “impersonating me.” He took the stage with no makeup or manners and announce, “I’m Tom Dill,” and succeeded beyond my wildest dreams in making much of the evening surrealistically awkward. The duos played that evening didn’t succeed as well, at least it seemed at the time. Somewhere I have a DAT of it. Released in 1993 to inaugurate the now thankfully re-awakened Soul on Rice imprint, this is a series of duets, some readily discernible as such and many not; I was struck by how much of this record faces forward, anticipating music in which many are now reveling as innovative. True, there’s a lot of cutup here as Djll’s live sampling keeps things fresh, but listen to “Magnetopause” as it quenches the claustrophobic semi-smoldering of “Wipum”, one of the Djll/Jack Wright pairings. It shimmers into life, following its own path of overtones in beautifully harmonic manifestation of sonic temporaries, the Djll/Ed Herrmann duo conjuring drony visions of recent William Basinski. 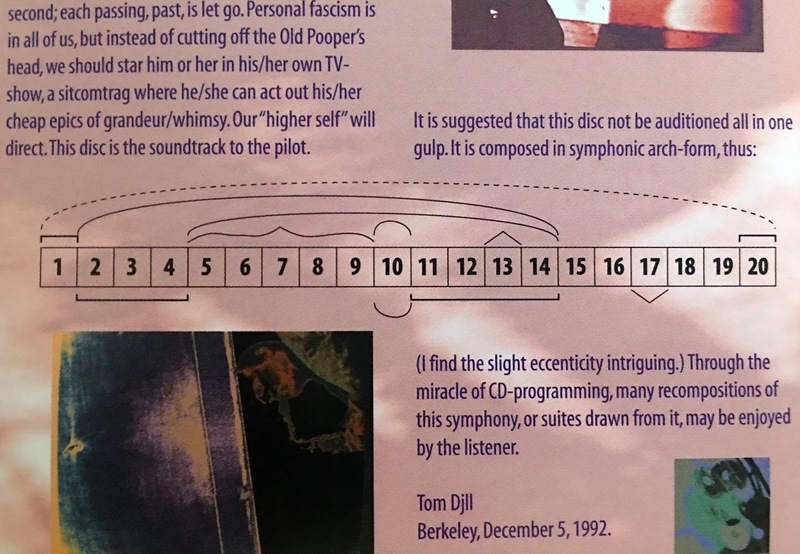 Temperaments and timbres morph and fade with tortoisian inexorability, a stunning contrast to the disc’s largely jump cut and whiplash aesthetic. It’s one of the longest tracks on offer here, and one of its most successful. I’ve made this stuff sound so damn serious! 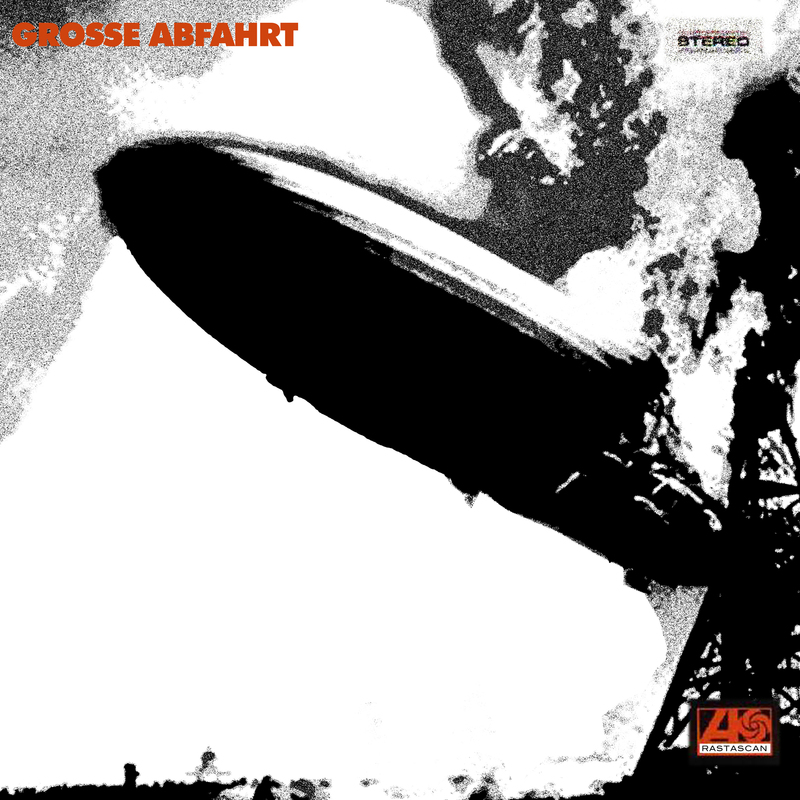 The disc is huge fun, as much Zappa as Stockhausen, the titles often as humorously evocative as the half-recognizable samples flitting in and out of focus. “Carnivore of Venice” finds Doug Carroll providing a basso continuo while Djll busts out misshapen loops that chase their own tails right out of the gate. Veterans like Myles Boisen and William Winant appear and disappear along side folks with whom I’m entirely unfamiliar—who’s this Hillary Double-D, (Please don’t let my ignorance rob you of veteran status, Hillary!) and where can I hear more of her incisively random and socio-politically abstract poeticizing? Oh, I’ll just press play and enjoy it all again! Tom Djll presents himself here doing duos with a host of BayArea free musicians. 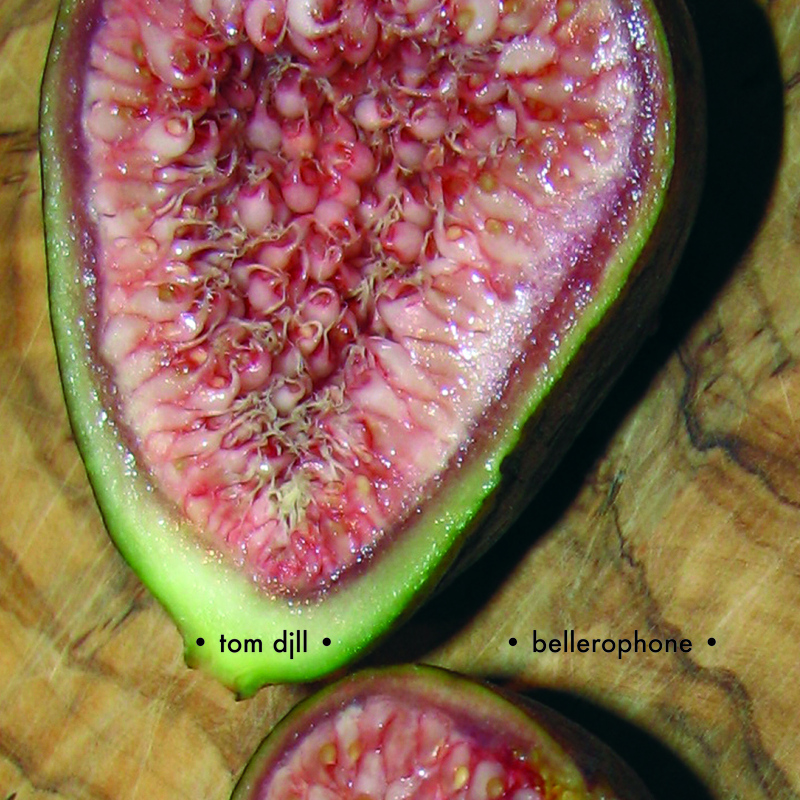 The general sound is disjunct, constantly-changing and playful. 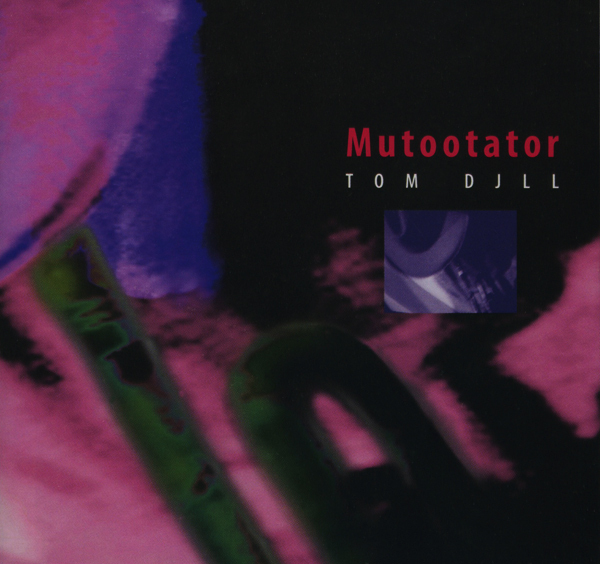 If you always wished your old Morton Subotnick records got a little further out, or if you need a soundtrack for your own imaginary sci-fi film and feel disappointed that no extant sci-fi soundtracks can begin to be strange enough for your needs, “Mutootator” may well be your ticket. Several cuts remind me of insistent metallic insect hordes plowing migratory paths through dense, frenetic urban landscapes. 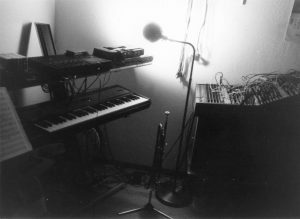 So much music here comes from loosing the very rich wierdness sound potential inherent in electronics and synthesizers. Hence the Subotnick comparison (another Bay Area musician, by the way). Djll and his partners employ such rich textures that you feel your listening to small groups, not duos. Hymn of Lemuria is a high point here. Hillary Double-D’s vocals and Djll’s careful trumpet guidance make for a lilting, meditative piece of exceptional grace. 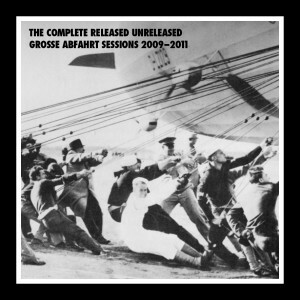 Raster Bugs with Tom Nunn on amplified percussion boards is another standout. A laconic/nervous arc of night music that somehow calms you while indicating that there are unsettling things out in the pitch. 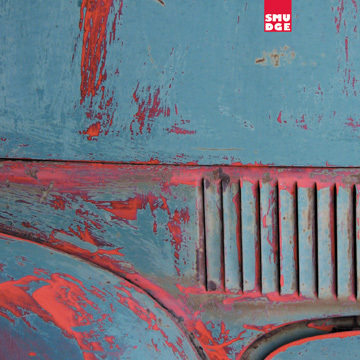 Carnivore of Venice (with Doug Carroll’s amplified cello) is a witty little warped jaunt. 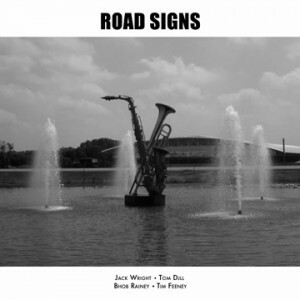 Several frenetic jazz-oriented improvs fill out the album; they’re reminiscent of Company but with more humor. A varied, strong release. Bay Area improv masters get together to play and rough up each other’s aesthetics with guitars, cellos, saxes, synths, and homemade percussion. Sometimes the improvised riffs get sampled and replayed, instantly adding another player or small ensemble to the group that’s already slashing away. 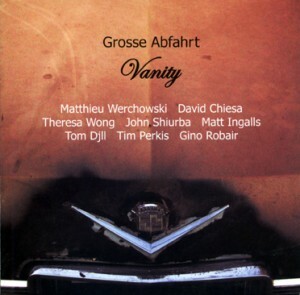 The effect is jarring and intriguing, moving from airhorn-in-your-ear loudness to a kind of neurotic pianissimo, from sonorous marimba runs to the sckrechh! of something scraping the inside of your skull clean. I’m sitting here at the Mac struggling to find words to describe how overwhelmingly impressed I am with this work. The basic idea is this: take a modern jazz trumpet and feed it through a mind-boggling array of signal processing, sampling, back-looping and then more processing until you get a loping, drunken juggernaut-gargoyle unpredictably prancing like the proverbial china shop bull. Then, throw this insane mutant into an intensive, free-form improvisational environment with some of the most accomplished players available and what you end up with is so fresh, and yet so utterly sophisticated, as to almost defy description. Picture a three-way cutting contest between Beefheart, Varese and Yoko Ono; now picture it with the musicians licking venomous toads before playing; now picture it with you chewing jimson weed while you listen. Get the picture? Surreal, shimmering, trans-textural, amazing state of the art venusian swampstuff boogie. Get this NOW!!! Plus the business+ class lighter-than-air crew of Shiurba, Robair, Perkis, Ingalls and Djll. Format unconfirmed but said to be DVD audio, with special video enhancements. Limited hand-numbered edition of 500. Projected launch: summer 2012. More details to come. Watch the skies!!! Emanem disc 5007, released 2009. 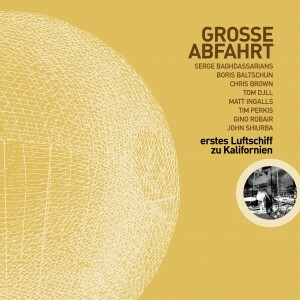 Grosse Abfahrt is made up of a core group of five players which does not vary. These people are all very familiar with each other’s strengths, preferences, and foibles, yet they do not play as a quintet (well, on one occasion we did). To this core I add musicians who have not played with any of the core members. Often, these outsiders come from far away, and are playing as duos or trios already, so they arrive with some comfort and fluency in their own musical relationship. How these two dynamics come together to create music, with practically no introduction (much less, rehearsal), is our practice. 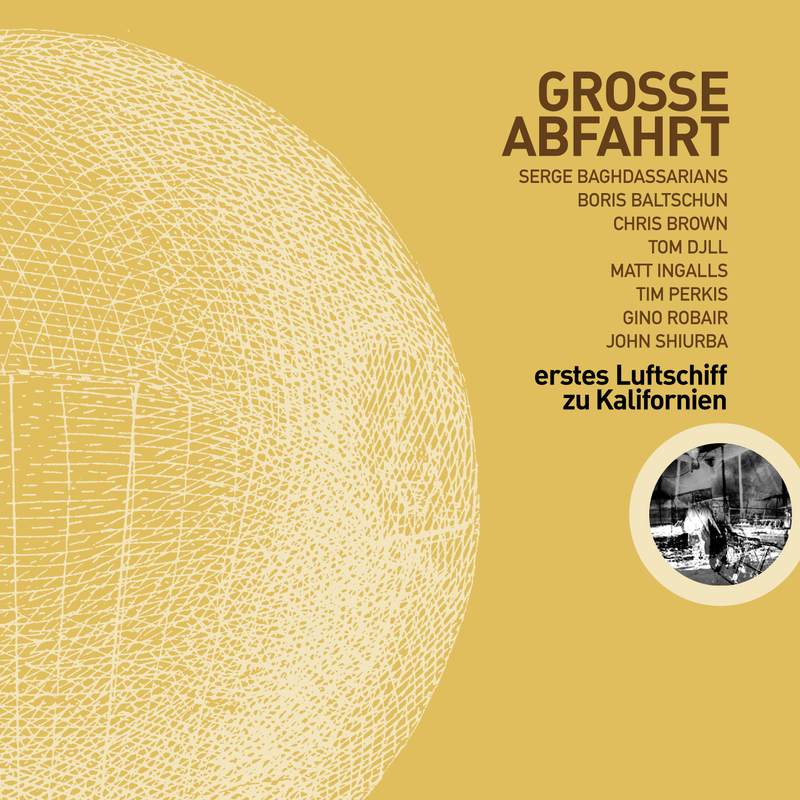 This geo-socio-musical bridging encompasses some of the meanings of the name Grosse Abfahrt (‘great departure’). For the present realisation, I added one more player (Theresa Wong) whose instrument was of the same family as the outsiders. Being a local, she was to perform as a kind of ‘bridge’ between the instrumental sounds of the Werchowski-Chiesa duo on the one hand, and the social identity of the core quintet. The Werchowski-Chiesa duo played a sensitive and soulful opening set, the second half of which is presented here as Hang Bat5 Over. With Theresa on cello, the three chamber strings formed a molten core to this Grosse Abfahrt. The music seemed to assemble itself into short pieces much of the time, although the evening featured a couple of longer discursions in the traditional Grosse Abfahrt style. Emanem Disc 4146 – Released 2008. The music was to strive toward long structures — my sole bit of direction to the ensemble. We formed this particular grouping just a few days after the death of Jean Baudrillard, whose book AMERICA served as the source for the album and track titles. I picked some pages from the book and read the first word from each line down to create the titles. 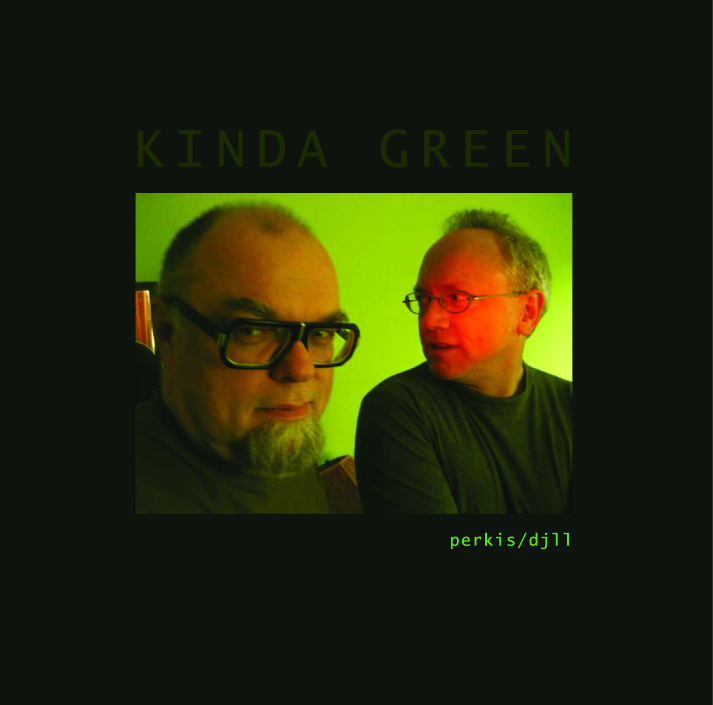 KINDA GREEN • (CD-R – no catalog #) Release date: 2007. It takes less than 48 minutes for these masters of noise-thumbing to murder this thing, and with it any semblance of critical standards in music-making. It’s not just a revolution in sound, it’s over 17,000 revolutions! 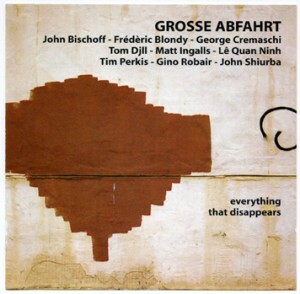 Grosse Abfahrt is the name I gave the project on the occasion of its first recording, in 2004. In German, it means ‘great departure’. The project is to take a core group of Bay Area musicians and put them together with out of town visitors. In this way the ‘composition’ involves as much the clashes and synchronicities in social dynamics as much as sonic ecosystems. The unofficial sequel to Jack Wright’s release “Signs of Life,” ROAD SIGNS re-partners Wright and Djll with saxist Bhob Rainey on two tracks and percussionist Tim Feeney on a third track. Recorded in Boston, Massachusetts and Rochester, New York in 2002 and 2005. Trumpet & sounds + digital processing. Incorporates 1988-1991 analog electronic works. Trumpet solos. Improvisations, compositions, two live tracks and one standard, “Brother, Can You Spare A Dime?” I sold two of these in Sacramento, so you know it’s the bomb. Improvised duos with Myles Boisen, Jack Wright, William Winant, Tom Nunn, Fred Lonberg-Holm, Ron Anderson, Thomas Scandura, Ed Herrmann, Hillary D-D, Doug Carroll. 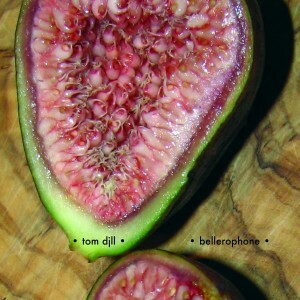 The title refers to the hybrid analog-digital instrument Djll brought to bear in cutting up and processing his trumpet sounds.